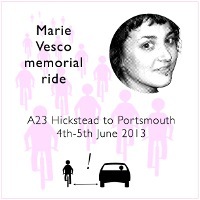 As announced, on the morning of the 4th of June 2013, for the fifth anniversary of Marie’s death, family and friends of hers met by the road where she was killed and then cycled to Portsmouth. Five years ago, a group of London activists cycled to a “Smash Edo” demonstration against the arms trade in Brighton. With them was Marie Vesco, who was part of the Food not Bombs group which regularly handed out food in Brixton. 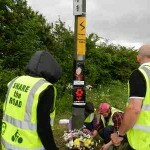 14 miles north of Brighton, she was killed on the A23 by two careless drivers who were never prosecuted. As I was preparing the announcement for the ride, I googled for web pages about Marie and what happened to her and I found a report from the Inquest. 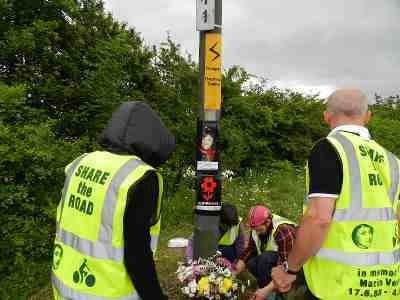 For the fourth year after the death of Marie Vesco, her family and friends visited the site on the A23 where she was killed, to put flowers and a picture of her at the site, and to remember her. 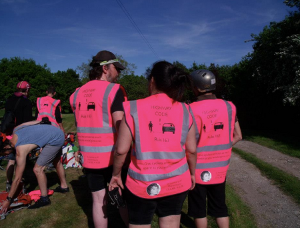 They also had the chance to inform a few cyclists about the cycle path that runs parallel to the road. 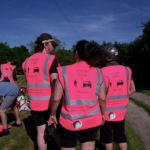 The cyclists were riding along the very spot where Marie got killed. They had followed the signs trying to reach the cycle path, but said signs only led them back North. 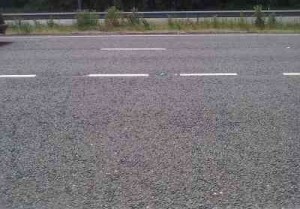 This is the spot where it happened. A23. Junction with A2300. 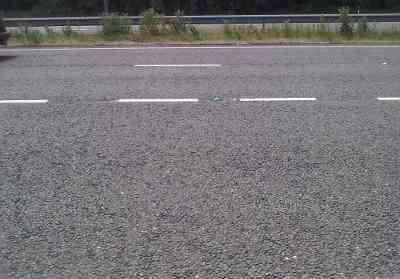 The access slip road. 4th June 2008. We’ll return there today.